Today's outfit is brought to you by the letter C... cozy, checker, colorblock. With all the plaids and tartan prints popping up during the holiday, I have to join in on the fun! This black and white (more like off white) checkered wool coat is the coziest thing ever! It has a really soft fur lining and I also love its boyfriend cut. I paired it with an ultra soft light blue cropped sweater from Lulu's, Levi's gradient high waisted skinny, and my new amazing Sam Edelman ankle boots! I love the western yet modern look and the beautiful studded details in the back! Last but not least, to add a pop of color I carried a colorblock satchel in a gorgeous blue and butterscotch color from Handbag Heaven. Checkered wool coat c/o 6KS. 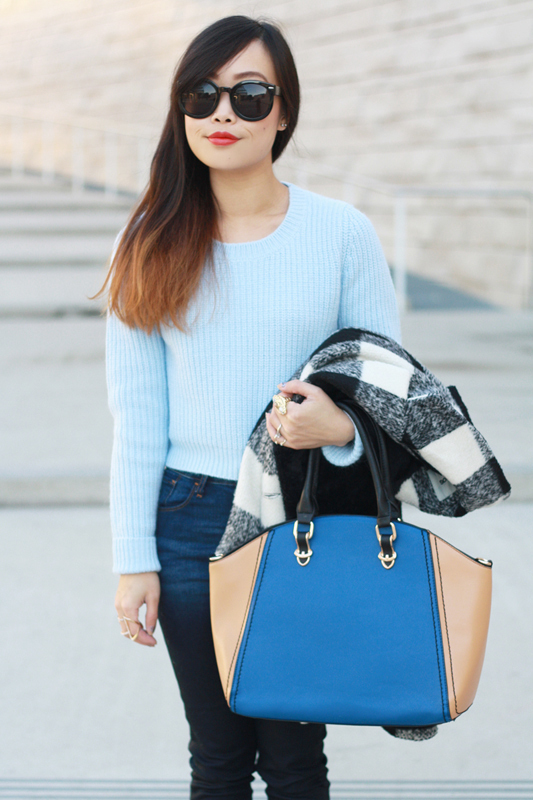 Light blue cropped sweater c/o Lulu's. Gradient high waisted skinny from Levi's. 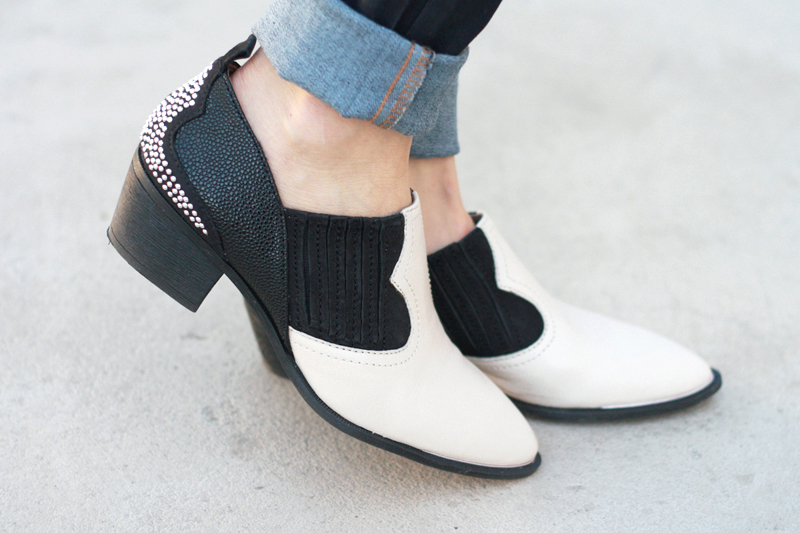 Halton western ankle boots by Sam Edelman from Urban Outfitters. 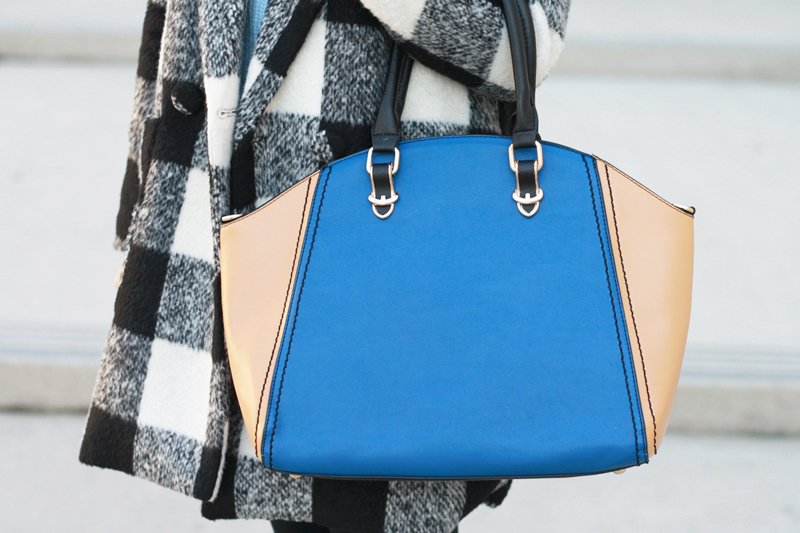 Colorblock satchel by Nila Anthony c/o Handbag Heaven. Meet Me There ring c/o Samantha Wills. Linear crystal ring c/o Sole Society. Wow, I love those shoes! This checkered coat is awesome! What a great piece. 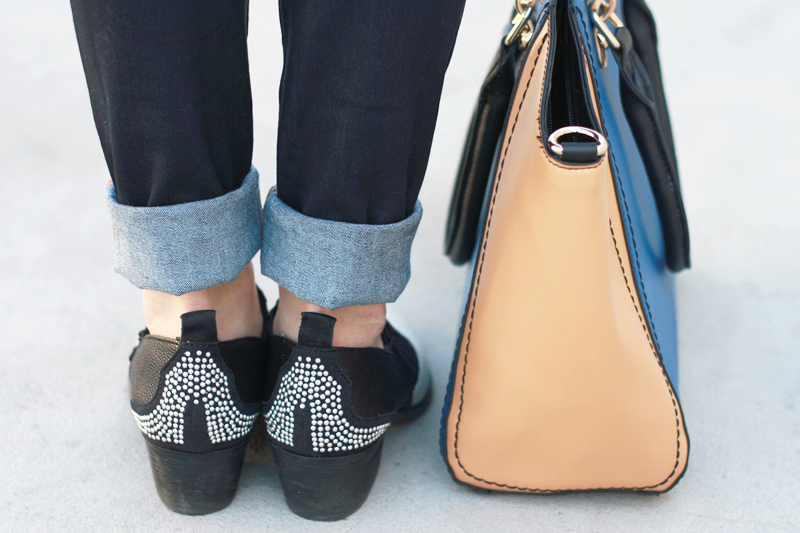 It's a great standout piece for a simple, casual outfit like this. I'm really loving your shoes too. Okay, I am completely dying over this outfit. The powdery blue sweater looks incredible with your black and white checked coat!